90041 archive | YORK BLVD. The LA Times interviews Steven and Jeremy Raub, owners of Eagle Rock Brewery, whose three brews are saturating the Northeast. I’ll finally be sampling the Revolution XPA tonight. I should have that review up by Easter. I’ve long been a fan of Dave’s Chillin-n-grillin’ and am always surprised when someone from the neighborhood hasn’t heard about it. Most likely that changed today when Dave was front and center on L.A. Times. I won’t paraphrase too much here, but the main point of the article was Dave’s “Pilgrim” sandwich, made fresh from Thanksgiving leftovers (turkey, stuffing, cranberry sauce and gravy) every Thursday in September through April. Truthfully, such a sandwich sounds terrible right now. I’ve been on an all-turkey diet for the last 48 hours and feel like I’ve been sweating gravy for the last 12. Also tops on the list is either the tuna melt or turkey melt. The white bread is delicious and perfectly crisp and the fresh tomato makes a great contrast to the hot sandwich and melted cheese. I only mention the Italian Deli because they still make the best Italian combo around (at least until Bay Cities opens an East-side location). Dave’s is a good effort and he even gave me a five minute lecture on the quality of the salami, but it still falls a little short. Of course, that highlights the other great thing about Dave’s: It is by far the most aptly named establishment I’ve ever been to. 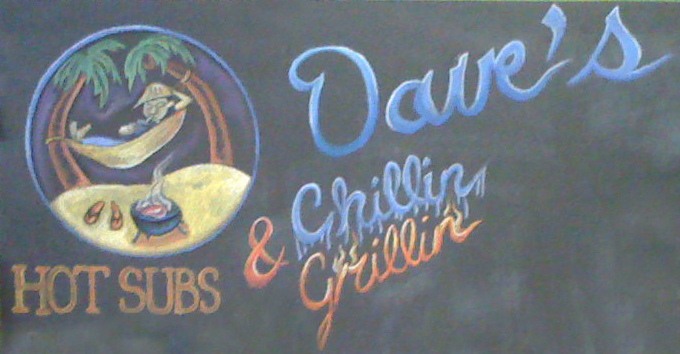 Most times you walk in you’ll find Dave, just chillin’ and grillin’. He’ll chat you up about food, the Red Sox, or neighborhood, all while making a handful of sandwiches. The wait is usually a little longer than necessary, but the conversation is always entertaining and well worth it. Dave is a genuinely nice guy and will go the extra mile to make you happy, such as running to the grocery store to buy milk to make you a chocolate malt. Delicious. 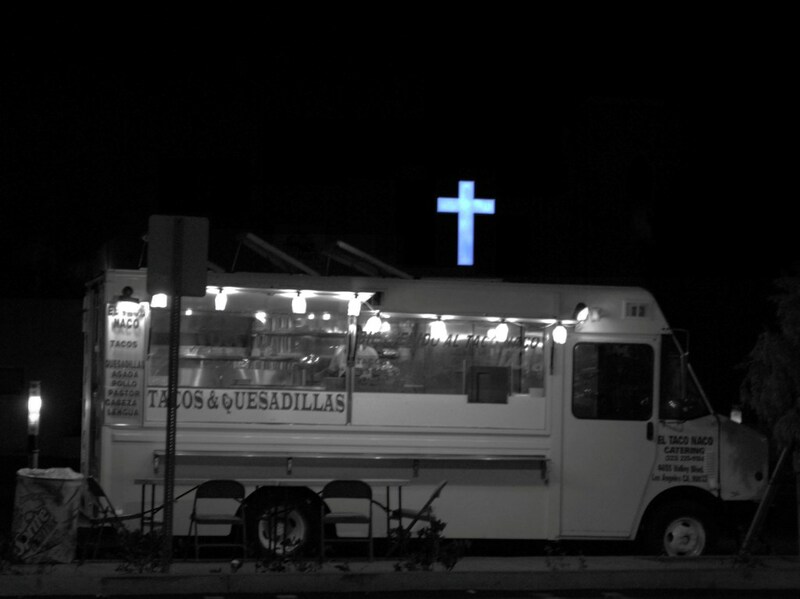 So they don’t actually serve molé at this truck parked outside of El Super, but they do promise the “Taco Naco” (which roughly translates as Tacky Taco). The truck has decent food, but this isn’t a food review. I’m just having some fun with photoshop and a camera. Enjoy.